Cromwell was originally known as “The Junction”, being at the confluence of the Clutha and Kawarau Rivers. 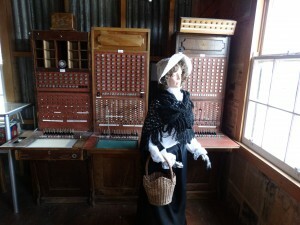 In 1862, gold was discovered below the Junction by two miners, Hartley and Reilly. Once the word of a gold strike was out, there was an influx of several thousand miners to the area. 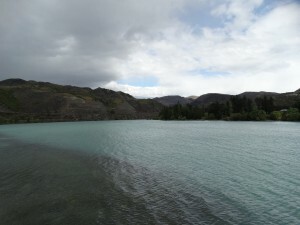 Cromwell lay at the confluence of the Clutha River and Kawarau River, which was noted for the difference between the colours of the waters of the two rivers and also for the historic bridge at the convergence of the two. 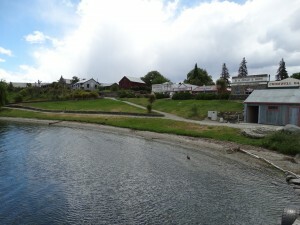 A view of Lake Dunstan. The dark area seen under the water surface, is the remains of the drowned village. 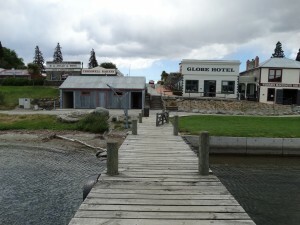 Since the construction of the Clyde Dam and the filling of Lake Dunstan in the early 1990s the river confluence was drowned, as was the old town centre. The decision to build Clyde Dam and use Cromwell as the accommodation base brought many changes to the town. Approximately one-third of the town was rebuilt on higher ground. The changes included the doubling of the residential area, relocation of the old town centre (now called “Old Cromwell Town”), upgrading of services, and the provision of modern educational and sports facilities, and a new bridge. The relocated town centre, or “The Mall,” now houses the main retail, service and civic buildings in Cromwell. 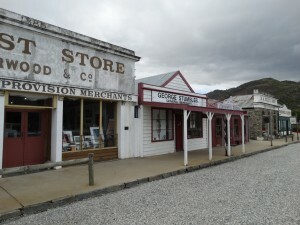 Several of the old buildings of the town which escaped the flooding have been retained as a historic precinct close to the shore of the Kawarau. The town was named after Oliver Cromwell and, as well as “The Junction”, the town was previously known as “The Point” and “Kawarau”. 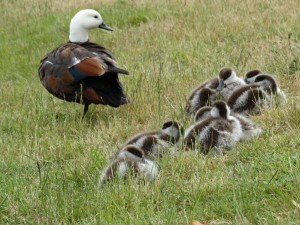 The future of Cromwell is in farming, horticulture, viticulture, and tourism. Cromwell is nicknamed the “Fruit Bowl of the South”. 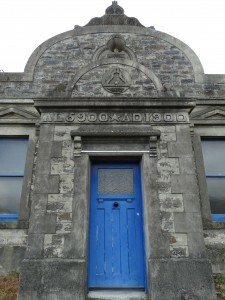 The Cromwell Kilwinning Lodge No. 98 was founded in 1869 for the Freemasons of Cromwell, with the Lodge building constructed in 1900. 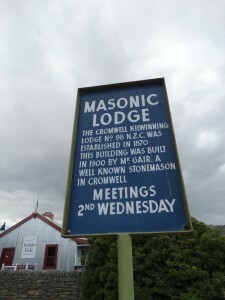 The Lodge is a small but impressive building, constructed of local stone set in the old part of Cromwell, immediately adjoining ‘Old Cromwell Town’ which is the surviving section of the largely flooded historic Cromwell business district. 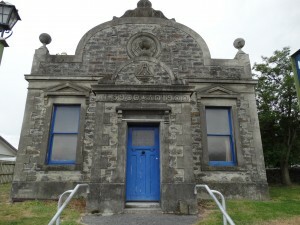 The Lodge has provided a meeting place for its members for over 105 years. Through the years there have been stories of small but unusually bright lights, seen floating around the lodge and over the lake surface; usually in a spiralling fashion, sometimes in small groups of up to five lights at a time, (it has been theorised that perhaps this is some manner of spirit activity from those that drowned when the town was flooded) Also, a mysterious, shrouded black figure is seen from time to time, standing beside the lodge. These occurrences are said to always be at night and when the lodge and neighbouring historical village town centre is closed and deserted.